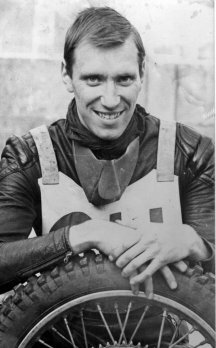 Ken joined Cradley in 1966, very tall which gave him a gangly awkward riding style - affectionately known as 'Ken the leg', for that very reason. 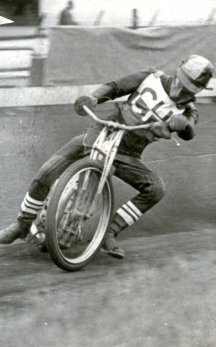 I believe he tried to emulate Ivor Brown's riding style but he was too leggy to take advantage of that inside line. Never set the world alight but was a dependable reserve / second string. Always well turned out. Local lad who was born in Stourbridge and we believe Ken still lives there.